NAZWA! (also known as Watusi (COLDFEET) and Naz Chris (PLAYCOOL/Volcomunity) is a Japanese and an English/Japanese special DJ duo, side group,unit and collaborative project consisting of electronic ,Techno,House and Nu Disco music producers Watusi and Naz Chris formed in 2018. NAZWA! performed at Jakarta 2018.They also performed at the Biggest Night Club in Tokyo "Contact Tokyo","ageHa","Sound museum Vision" and all over the world each other 1998-2018. 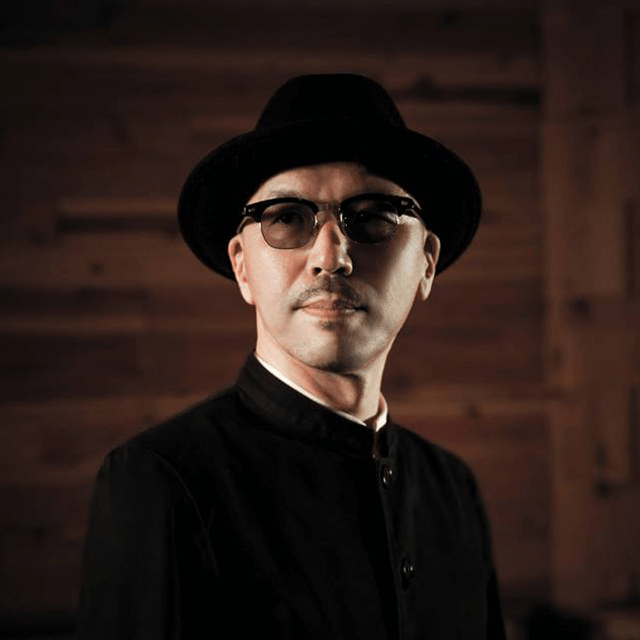 About Watusi,better known by his another band name COLDFEET,DUBFORCE and TDO, is a Japanese famous Bands, bassist,record producer, songwriter, composer and record executive based in Tokyo Japan. Watusi is known as a talented music producer and bassist in Japan. With his partner Lori Fine, a half-Japanese American vocalist and songwriter, the dance music duo COLDFEET has released 7 albums on major labels in Japan (including a #1 hit on iTunes Dance chart) that have been distributed to the US, the UK, Germany, Hong Kong, Korea, Taiwan, and Thailand. Their unique style of music and impressive live performances has caught the attention of key fashion brands, and COLDFEET has been invited to perform for Christian Dior, Hermes, Cartier, and Tiffany. Watusi's deep understanding of music and cross-functional music skills are widely respected in both the Tokyo scene and also nationwide. Not only has he brought dozens of songs to the national pop chart as a producer team, but he tours as one of the main acts with Japan's top DJs and international guests at Tokyo’s top-rated parties at the biggest venues. He tours all over the country from the North to the South doing over 80 gigs a year. His highly-acclaimed floor-filling singles have received much positive feedback from overseas, and he has participated in big festivals and clubs in Hong Kong, Korea, China (Beijing, Shanghai), and Taiwan. Aiso,Watusi forms "NAZWA!" a DJ duo, side group,unit and collaborative project with Naz Chris in 2018.They are continuing to transmit Japan's appeal and underground culture to the world. Naz Chris was born in London. She is of Japanese andEnglish descent.She spent the majority of her youth in London New Delhi and Japan where she got a taste for the characteristic Euro bass,where she first garnered attention as a DJ and MC also Party organizer.She is still one of biggest organizer and DJ in a young generation 'because She has been doing a job related to radio and a music magazine for more than 10 years. During her rise to fame, Naz Chris worked with Techno DJ "Derrick May"and "Claud Young" and so on at Radio programs ,an artist who is credited with giving her exposure in her early career as a director and DJ. She performed at "EDM Beach Party Mumbai","Big Summer Party by Volcom" and Live broadcasting at "Tomorrowland" held annually during the penultimate weekend in July in Boom, Belgium in 2017.Aiso, Naz Chris forms "NAZWA!" a DJ duo, side group,unit and collaborative project with Watusi (COLDFEET) in 2018.They are continuing to transmit Japan's appeal and underground culture to the world.